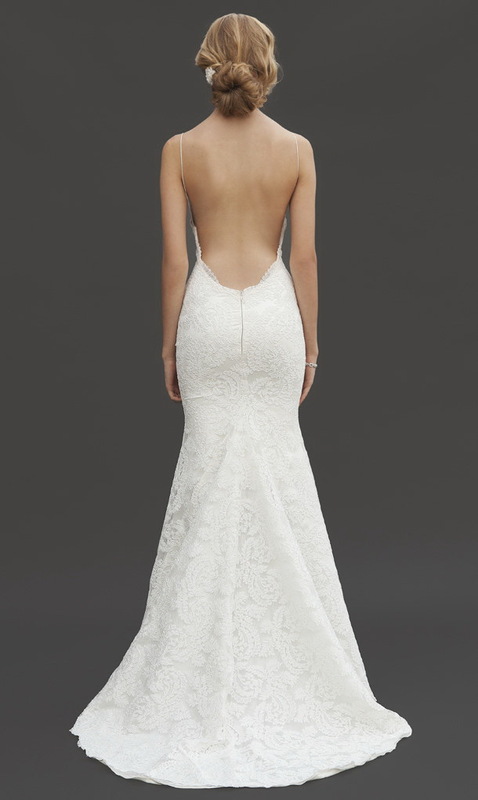 This gown is both flattering from the front and behind. Here are presented beautiful numbers with lace-trimmed keyholes that show off a little skin, as well as sultry, retro inspired versions fully made of lace. 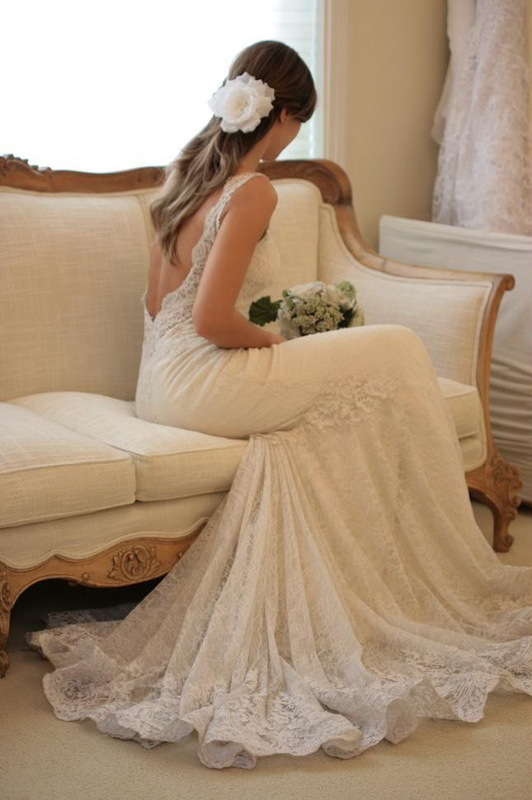 My personal favorites are those gowns that feature lace top and semi-sheer maxi skirts. If you want to make a dramatic statement, then you better go for eye-catching and daring designs, like low backless gowns that for sure will ensure you are the centre of attention. 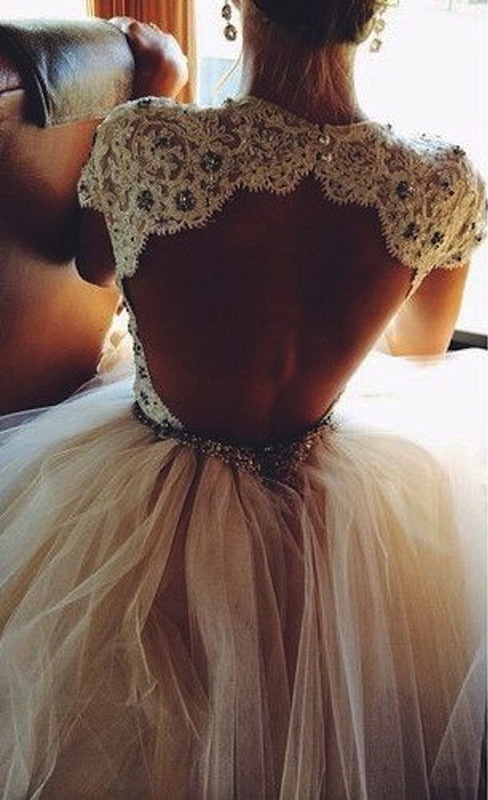 For your inspiration I have put together a list of perfect backless styles that will make you look like a princess. 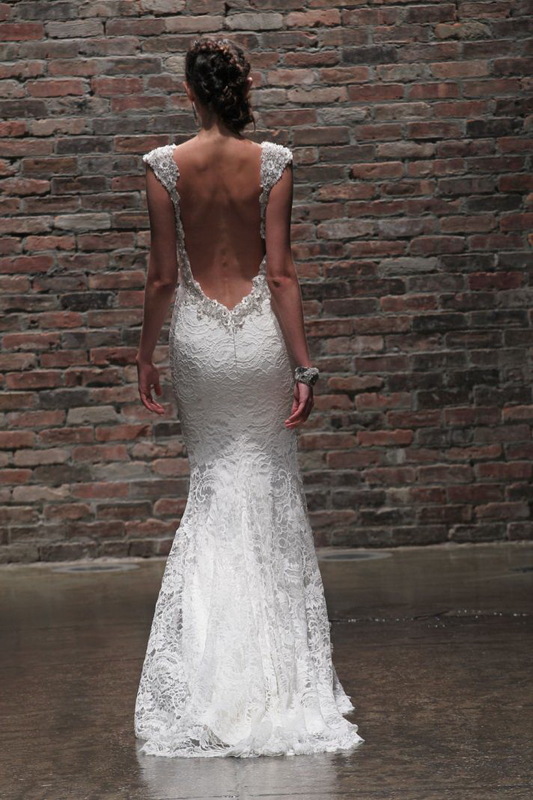 Choose the skin colored backless bodies so that you feel confident at your very special day.